The Eucharist is the source and summit of the whole Christian life. The celebration of the Eucharist and other liturgical services with reverence and joy is at the centre of our parish life. We are fortunate to have Mass said at Holy Innocents’ almost every day. Each weekend we have a vigil Mass on Saturday evening (at 6 pm) and three Masses on Sunday (8 am, 10 am and 6 pm). See the diary in our weekly newsletter for up-to-date Mass times. You will find that each of our Masses has a distinct atmosphere, from the quiet reverence of our weekday Masses and the reflective calm of the Sunday 8 am Mass to the lively and joyful bustle of our family Mass at 10 am on Sundays. Our parish organist often leads singing at the 6 pm vigil Mass on Saturday evening, with the Parish Choir on the fourth Saturday of each month. Outside holiday times there is always singing at our 6 pm Mass on Sunday, which might be described as gently charismatic, as well as at the Sunday 10 am Mass. Liturgy is the official, public worship of the Church. The Mass (or Eucharist) is our most important liturgy. The Mass is a celebration of the whole community, not just the priest and our deacons. The same is true of our other liturgical services. So we encourage as many people as possible to join in the preparation and celebration of our Masses and other services. On this page, we talk about various ways (some in the public eye, but many behind the scenes) in which this happens. If you want to learn more or to volunteer, get in touch with the relevant contact person shown below. ﻿Our altar linen does not launder itself. A group of volunteers takes it in turns to home launder the altar clothes and (very carefully) iron them. Our altar servers assist the priests and deacons during Mass and other liturgical celebrations. We all like to see younger parishioners serving on the sanctuary and any boy or girl is welcome to become an altar server at any time after their First Holy Communion. But serving is not just the children; we welcome the ministry of young people and adult servers just as much. ​We have a well-developed training and development structure for our younger altar servers. As a new altar server you first learn some practicalities, then you will able to participate on the sanctuary at Mass. After that you will take part in an eight-week formation period to complete your training. Once you have been serving for a short period, we enrol you into the Guild of St Stephen. Depending on their experience and years of service, each server wears a different colour cord attached to a medal. New servers begin with a red cord medal. Our eucharistic ministers assist in the distribution of the Eucharist (Holy Communion) at Masses; and some of them also take the Eucharist to people in our local hospitals or in their homes. Eucharistic ministers are chosen by Father Victor and commissioned by the Diocese following instruction. Each eucharistic minister will generally appear on the rota for their Saturday evening/Sunday Mass about once a month. The formal name for eucharistic ministers is ‘Extraordinary Ministers of the Eucharist’ (priests and deacons being the ‘ordinary’ ministers). They renew their promises once a year, very appropriately on the feast of the body and blood of Christ (or ‘Corpus Christi’, to give it its traditional name). 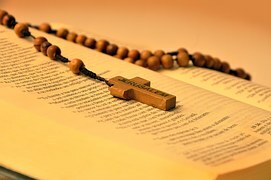 Our eucharistic ministers are required to deepen their own practice and understanding of the faith, and obligated to attend a day of formation each year; a practice which Father Victor recommends for all those involved in any ministry in the parish. Flower arrangements can be beautiful and uplifting. We are blessed by the talents of those who arrange the flowers for us at Holy Innocents', including those on the sanctuary around the altar. They also arrange flowers for major seasons, such as Christmas and Easter, and on request for special occasions such as weddings. “He (or she) who sings, prays twice.” So we encourage everyone to join in the singing at Holy Innocents’. Our organist Jean Treloar and the Parish Choir lead the music at the 6 pm Mass on the fourth Saturday of each month. It is an experienced SATB (Soprano, Alto, Tenor, Bass) choir that is always glad to welcome new members. Our parish Music Group, comprising singers and musicians, minister at the 10 am and 6 pm Masses each Sunday and at school Masses. Both Parish Choir and Music Group assist at major feasts, special celebrations and (on request) at weddings, funerals and baptisms. ​The Music Group meets for practice several times each month at different times, including one Sunday after the 10 am Mass; the practice times can be found in the weekly newsletter. Any musician (playing any instrument) or singer, young or old, of whatever standard, is welcome to join the Music Group. The Parish Choir meets for practice at least once a month, on Thursday evenings at 8 pm in the church. Our organist Jean Treloar is willing to assist and encourage any would-be organist. ​Our organ was specially designed for Holy Innocents’ by Herr Spath of what was then West Germany. It is a two-manual tracker action pipe organ, and is particularly suited for the music of the period of J S Bach. It is perfect for the accompaniment of congregational singing, which it supports but cannot overwhelm. Several parishioners at each of our Saturday evening and Sunday Masses are responsible for the monetary collections taken at each Mass. They often also arrange for individuals, children or family groups to take part in the Offertory Procession. ​If you want to help with the collection, or if you would like to take part in the Offertory Procession, just ask one of the collectors at the Mass. The proclamation of readings from the Bible, the Word of God, forms a central part of our worship. It is a privilege, but also a great responsibility, to read at Mass or another service. More than 65 parishioners, young and old, regularly rise to the challenge. Initial training and instruction is available to all new readers. Each reader will generally appear on the rota for their Saturday evening or Sunday Mass about once a month. Readers are sometimes referred to as ‘Extraordinary Ministers of the Word’. They are required to attend a day of formation each year; a practice which Father Victor recommends for all those involved in any ministry in the parish. Our sacristans work closely with the clergy team to ensure that the sanctuary is ready for each Mass and other service. ​Are the candles ready to be lit? Are the right books in the right places? Are there sufficient hosts ready for the consecration? The list is endless, but we would all notice if some of it was not being done! In the words of a well-known hymn, All are welcome at Holy Innocents’. 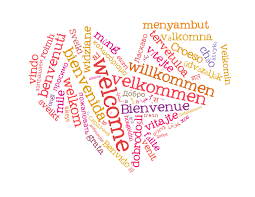 ​It’s the role of our welcomers to extend that welcome to people as they arrive in the porch, with a smile and a word of greeting. Welcomers also give out Mass books, hymn books and newsletters.